The Andis Outliner 2 is a superb pivot motor mains powered neck and beard trimmer. 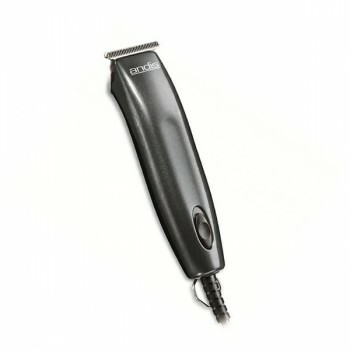 This high quality trimmer from Andis is corded and powered directly by the mains supply which means it has the power to perform even the toughest trimming jobs precisely, every time. With an ultra slim and stylish body, the Outliner 2 has an extremely close cutting carbon steel T-blade and a high speed, high powered motor. The Outliner 2's fine cutting teeth are perfect for trimming necks, beards and edging the ears, and it's slim, contoured design gives it superb maneuverability. As with all professional clippers and trimmers from Andis, the Outliner 2 is the epitome of quality and are designed to perform to the highest standards for a long time. 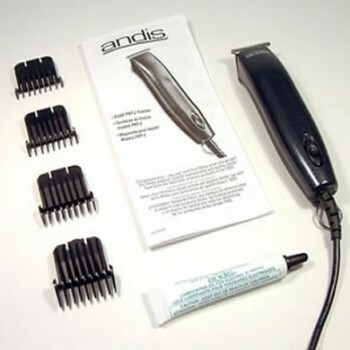 The Andis corded trimmer also includes four attachments combs allowing you to trim your neck, beard and sideburns precisely to the length you require.